The Lion and Unicorn Theatre has been fixture of London fringe theatre for over 25 years, but it really rose to prominence after resident company Giant Olive Theatre took over the venue in 2008. The theatre (and the company) produces a diverse range of Classical, Contemporary, New Writing, Dance and Commedia Dell’Arte. The company has received the Time Out Critic’s Choice Awards twice (2009 and 2010), and runs Saturday morning drama classes for children aged 6-11 (under the title ‘Little Olives’). 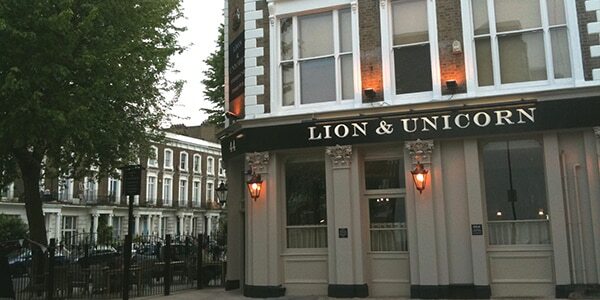 The Lion and Unicorn Theatre remains to this day a cultural centre for innovative theatre in Kentish Town.